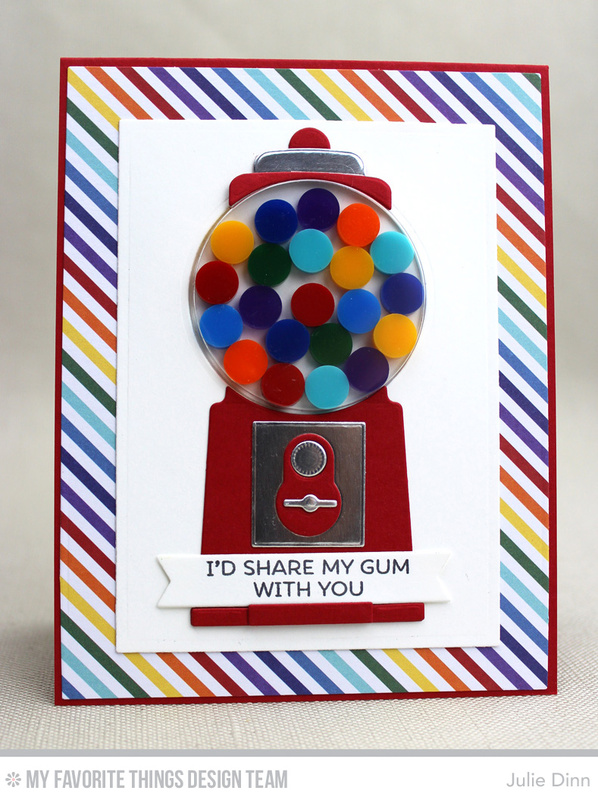 I am back with another sweet Gumball Greetings Card Kit card. I went with a traditional bright red gum ball machine for this card. I filled the shaker pouch with a selection of colourful gum balls that match the stripes in the Rainbow Stripes paper. The Gumball Greetings stamp set is FULL of fun sentiments like the one I used here. This kit is seriously fun to play with! Very cute colorful card. The sentiment puts a smile on my face...love the card! Beautiful bright card, thank for sharing your gumballs and your talent. I love the fun pattern paper!